Victory Garden® is making great taste happen. Our produce picked at the peak of ripeness and handled with special care. 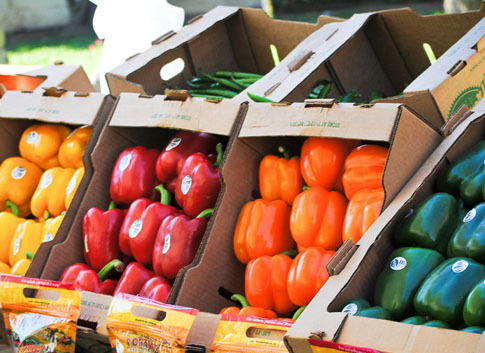 All of this ensures mouth-watering fresh produce that you’re sure to love. Visit your local grocer and look for the beautiful farm scene on the Victory Garden® label. 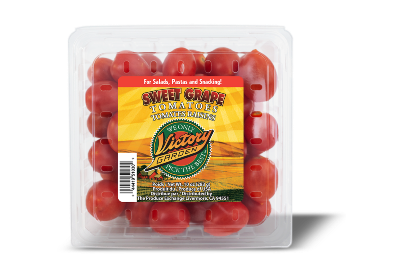 Victory Garden® Sweet Grape tomatoes stand out in the crowd of ordinary tomatoes! Once you taste them, you will understand why. Our small, oval beauties are wonderfully sweet with a satisfying, crunchy texture. They are the perfect addition to your favorite salads and recipes. Put a bowl of Sweet Grapes in front of kids and watch them gobble them up. They are a great snack - tasty and nutritious. No matter how you choose to enjoy them, you’re sure to love the sweet, savory flavor of Victory Garden® Sweet Grape tomatoes. 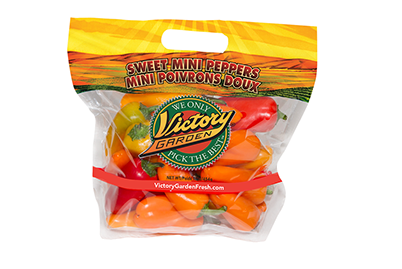 Our Sweet Mini Peppers are the perfect snack for lunches and afternoons. Put them in your favorite salads or stuff and bake with your favorite cheese for a wonderful appetizer. These peppers have fewer seeds and are sweet and mild. 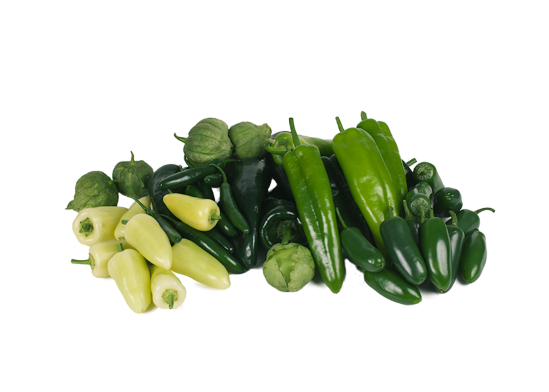 Sweet Mini Peppers are an excellent source of vitamin C. Good source of vitamin A and B6. 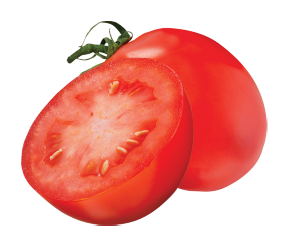 Tesoro is a brand new tomato that brings flavor and ease to home cooks and chefs alike. 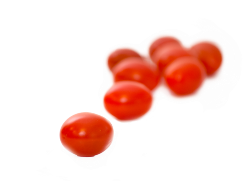 Tesoro is an exciting new award winning tomato that is the best ingredient for cooking, slicing and dicing. Tesoro is an all meat tomato with no gel. 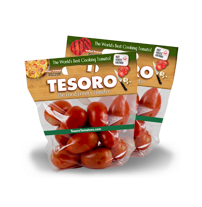 Whether it’s cooking fresh tomato sauce, preparing a tasty salsa or bruschetta or simply making a delicious sandwich, Tesoro tomatoes are perfect for a wide variety of uses. Heirlooms are open pollinated tomatoes grown from varietal seed of more than 50 years ago. Like fine wine, these tomatoes harken to times past when its seeds were handed down from generation to generation. 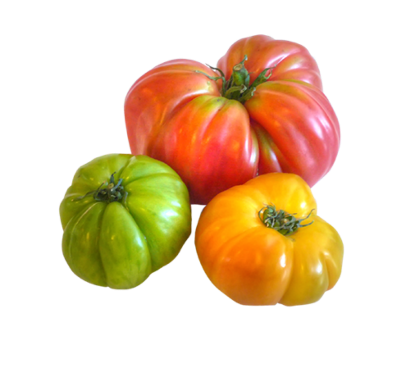 Victory Garden Heirlooms are select choice varieties that are proven favorites! 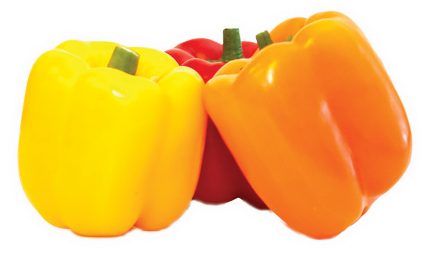 Sweet, crisp, and fresh in every bite, bell peppers are wonderful, whether you eat ‘em raw in salads, stuff ‘em, toss’em on the grill for some shish-kabobs or slice them up for some tasty fajita’s! Unlike the green bells that are picked before they are ripe and have a tangy, robust flavor, colored bells like the red, orange and yellow are left to ripen on the vine. As they change color, their natural sugars develop resulting in a sweeter, milder and more subtle flavor. They are even more nutritious with more vitamins A and C than the ordinary green ones. 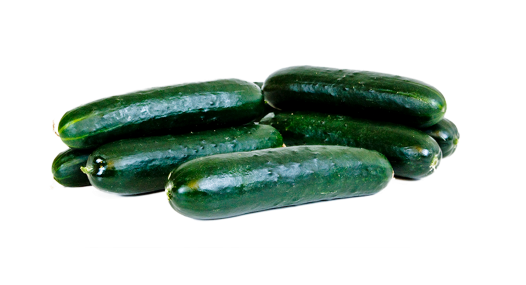 Our Cucumbers are perfect for everyday use. High in vitamin C and with almost unlimited uses, cucumbers are a great addition to any meal. Each year, we not only bring our great selection of items but often bring new and exciting items on a seasonal basis. 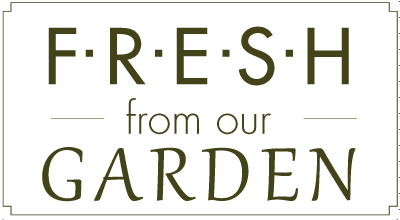 When every you see the Victory Garden seal, you know its going to be be fresh and tasty! We believe that thoughtful farming helps protect the land while creating superior tasting crops. Meticulous seed selection is where it all starts. 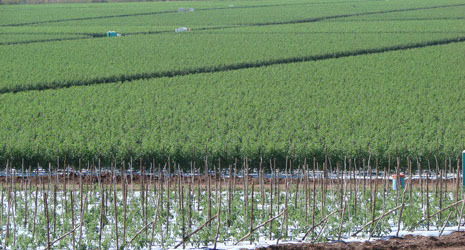 The Victory Garden® family of growers carefully plants the seeds that are then nurtured under the sun. That’s not where it ends. 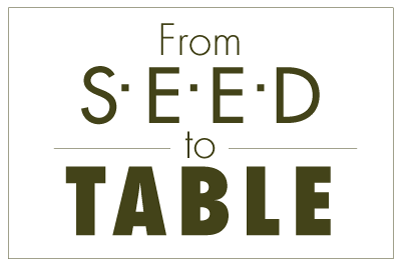 A succession of experienced and knowledgeable seed variety detectives, quality experts and flavor specialists continually monitor and evaluate the growth cycle of our produce. This ensures that our produce will be tasty and distinctive. We undertake this rigorous review process so that you can rely on Victory Garden® for fresh produce that will tantalize your taste buds and delight your family and friends. The Victory Garden® difference starts with selecting seeds that will grow into something truly special. Our development team identifies exciting new and traditional seed varieties that are distinctive, varieties that will bring something extraordinary to your dinner table. 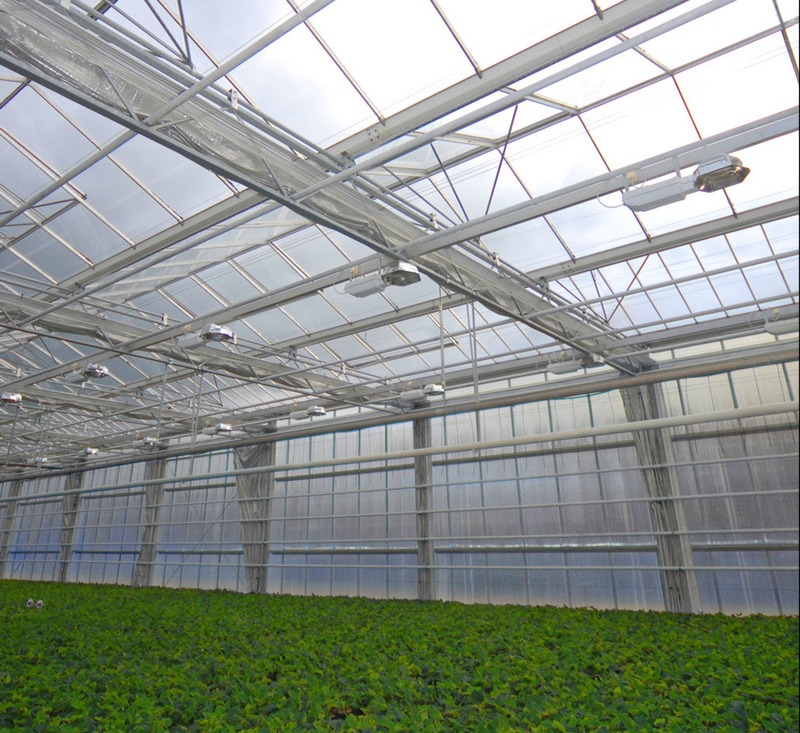 An exceptional seed needs the right environment and care to grow into exceptional produce. 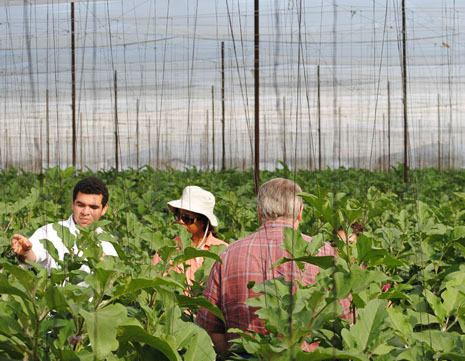 For each variety we bring to market, we carefully select where and how to grow it. In addition, our teams of quality and flavor specialists provide a nonstop flow of vital information throughout the growing season. 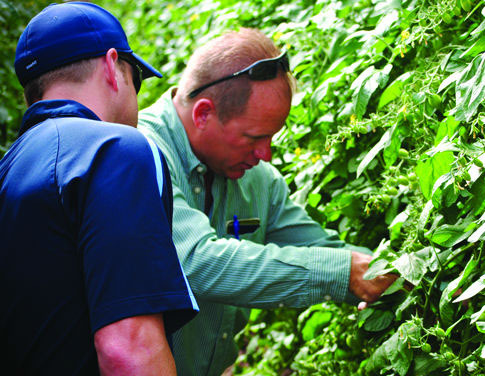 This includes tracking whether the crop is meeting or exceeding the optimum taste profile we have set. The Victory Garden® exclusive ‘taste profiling’ system guarantees that we are raising the bar for fresh produce — creating produce that you will savor and enjoy. We call this our FACT System (Flavor, Appearance, & Consistency Tested). For each Victory Garden® variety, a special sensory panel of hand picked produce experts develops a unique ‘taste profile’. Our produce must always meet these exacting taste standards. We monitor this at every step —from the fruit maturing in the fields through each step of the journey towards your local grocery store. Our field staff and quality control personnel are thoroughly trained to use the FACT system. the Victory Garden® taste revolution. There is always room to improve the delivery of fresh produce to your table – from how it is grown, harvested and transported to how it is packaged. Our goal is to continually advance each of these aspects. At Victory Garden®, we strive to meet the needs of today without giving up the opportunity for future generations to meet their needs. Practicing responsible farming today for the fields of tomorrow. Drawing on a rich farming heritage reaching back to Tuscany, the Mazzanti family established their farm in the fertile soil of Northern California. During WW II, the family expanded their farm to support the needs of the community. Realizing a long held vision Martin Mazzanti founded a produce company in 1979, based on generations of knowledge and a singular devotion to creating a distinctive fresh produce experience. During World War II, the government urged citizens to plant fruit & vegetable gardens so that commercial agricultural production could be sent overseas. 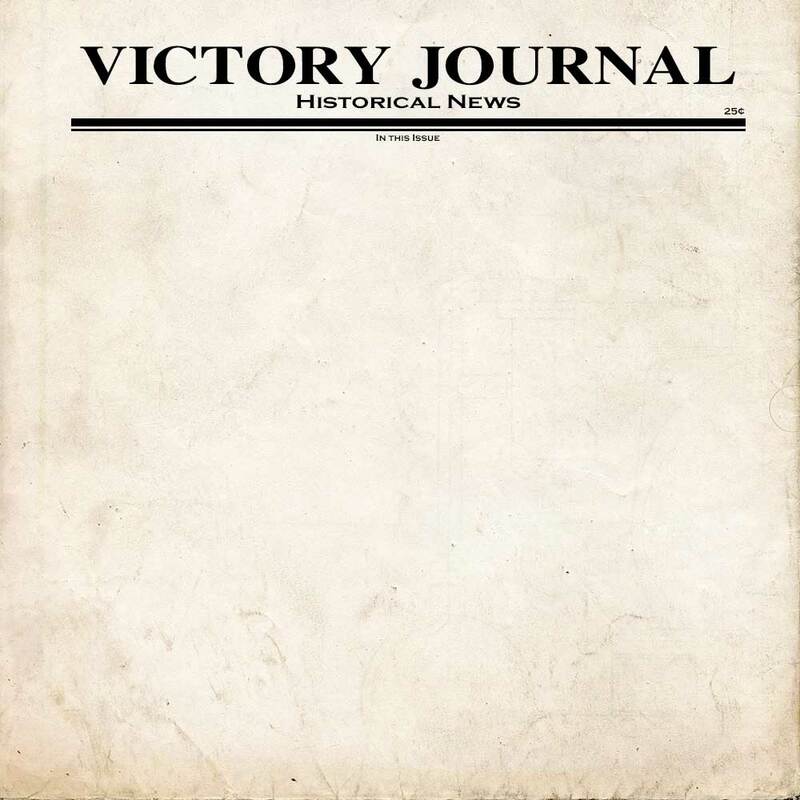 “Gardens for Victory” sprang up in every available patch of dirt across the nation. Families tilled backyards, apartment dwellers set out window box planters, and neighborhood communities gardened vacant lots. These Victory Gardens, some of which remained in use for decades, stand as a wonderful example of people cooperating to provide for the general good. Marty Mazzanti was born in San Jose, California in what was then the heart of an Italian- American farming community. Marty’s grandparents, Pilade & Clarina, had come to the San Jose area from Staffoli, Provincia di Pisa, Italy in 1914 and purchased a 5-acre plot to plant a variety of vegetables as they had in the old country. After many years working on the family farm, Marty’s father, Reno, owned and operated his own farm. He was always looking for new and unique items to grow. Reno's drive to seek out new and exciting produce no doubt inspired Marty not to be content with the ordinary. Back when fresh produce was all locally grown, taste was most important. Farmers grew this wonderful tasting produce with an understanding that they must take care of both the crops and the soil. This would ensure that they could grow healthy and great tasting produce year after year. 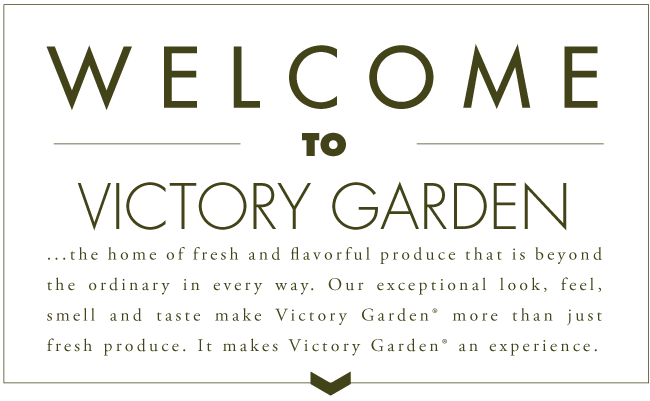 Our years of experience developing the Victory Garden® brand has renewed our focus on taste. 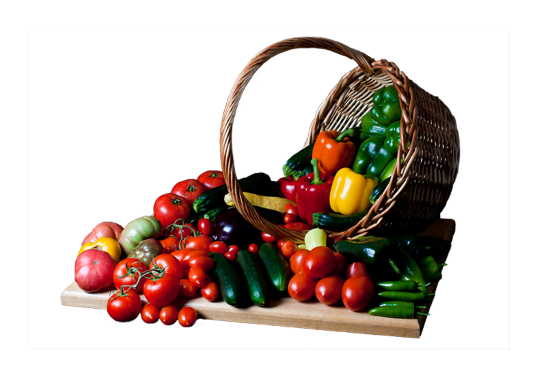 Victory Garden® has always served the community, supported earth friendly growing methods, and delivered fresh produce with amazing homegrown flavor. 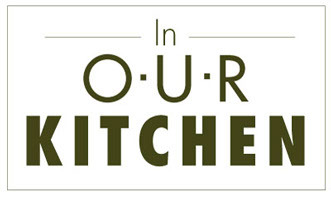 Some of our favorite recipes featuring Victory Garden Products. Pre-heat the oven to 400 degrees. Line the backing sheet with parchment paper or aluminum foil. Cut the Tesoro's in half and place on a baking sheet. Sprinkle with salt, pepper and Cumin. Cut the tip of the head of garlic just exposing the top of each of the cloves and loosely wrap in aluminum foil. Set aside. Put the pine nuts in a loosely folded aluminum foil. Set aside. Put the baking sheet with the Tesoro's in the oven for 30 minutes. Add the garlic. In another 15 minutes, add the pine nuts to the oven for the last 15 minutes. Take everything out to let cool. When the garlic is cool enough to handle, squeeze the cloves out of their skins. 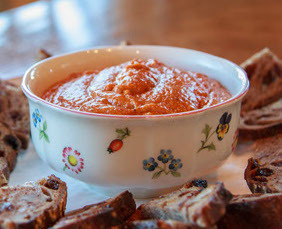 Put the tomatoes, pine nuts and garlic in a blender or food processor and process until smooth. With the blender or food processor running on high, slowly pour in the olive oil. 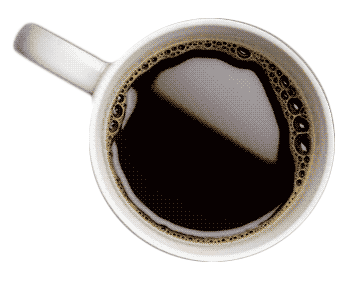 Pour into pan on high heat and heat until just warm. Stir in the cheese until melted. Stir in 1/4 teaspoon of nutmeg and pour into fondue pan to keep warm. Do not bring to a full boil. Preheat oven to 350 degrees. Heat olive oil in a 10-inch ovenproof skillet over medium heat. Add sliced leeks and sauté 5 minutes. Add garlic, thyme and rosemary and sauté 2 minutes. Stir in 2 diced Tesoro tomatoes and add, and cook 2 more minutes. In a bowl, whisk together the eggs, milk, salt and pepper. 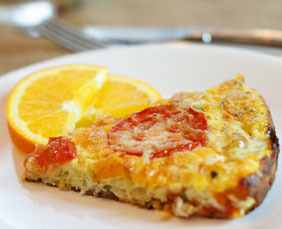 Remove pan from heat and pour egg mixture; sprinkle shredded Cheddar. Top with Parmesan cheese and sliced Tesoro tomatoes and transfer to oven. Bake 15-20 minutes, until golden brown. Remove from oven and let cool for 2-3 minutes. Serves 4. Put the garlic through a press and add the salt. Use a fork to make it into a paste. Mash the avocados leaving a few chunks. Add the garlic/salt paste and stir well. Dice the Tesoros (wasn't that fun!) and add to the avocado mixture. Add lime juice and more salt to taste. 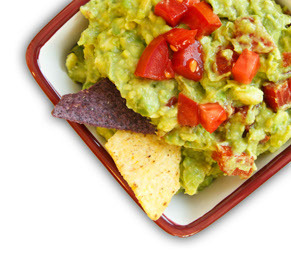 Serve with corn tortilla chips or gluten free rice chips. Serves 2 – 4. A delicious and creamy alternative to the classic. 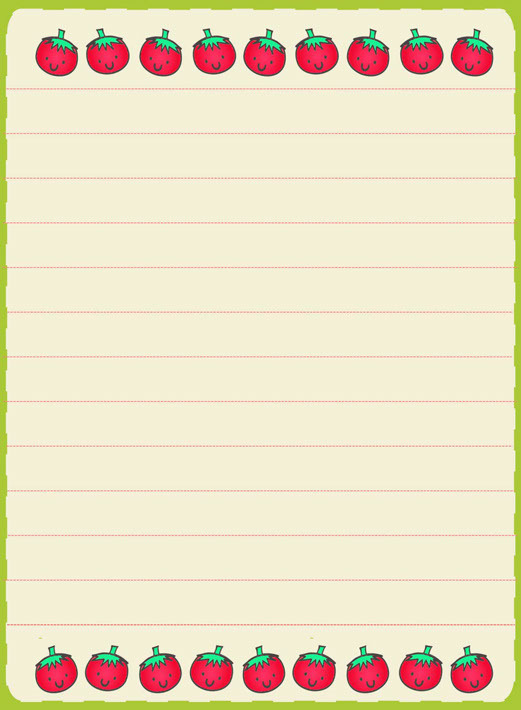 A minimalist's take on an old favorite! Slice heirlooms into bite size wedges. Peel and dice avocado. 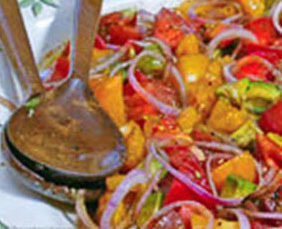 Place avocado, tomatoes, and red onion in bowl or large serving platter. Lightly drizzle with olive oil and balsamic vinegar. Salt and pepper to taste. Slice up various size, shape and color heirlooms. Slice heirlooms crosswise. 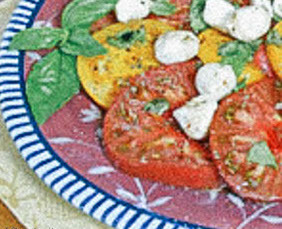 Lay heirlooms on a platter, and sprinkle with kosher salt (larger flaked kosher salt dissolves nicely on the tomato). Use only fresh mozzarella cheese. Slice the large balls packed in water or use the small balls whole that may be packed in oil or water. Sprinkle with fresh ground pepper and dried oregano. Rip fresh basil (rip instead of chop for maximum flavor) and place over the top. To get the full tomato flavor, drizzle with excellent quality extra virgin cold pressed olive oil. To give the whole dish some extra zing, also lightly drizzle some good quality Balsamic vinegar. Take a couple of fresh basil tips and use for garnish on the plate. Grab some artesian sourdough bread and enjoy! 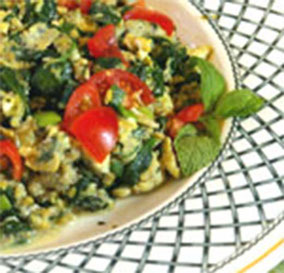 In a large bowl toss together spinach, red onion, and eggs. Sprinkle Sweet Grapes, bacon, feta cheese and walnuts on top. Add red raspberry dressing as desired. Heat a large, deep skillet over medium heat. Add olive oil and garlic to pan; heat until sizzling. Add tuna and mash into oil with wooden spoon. Let tuna sit in oil 5-10 minutes; will seem to "melt". Raise heat and add Sweet Grapes; heat through. Season with salt and pepper to taste. Add hot, drained pasta. Add parsely and toss well. 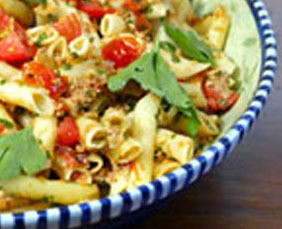 Top pasta with shredded basil and serve. Beat eggs in medium bowl until light. Stir in herbs and scallion, and grind in black pepper to taste. Place a 10 inch skillet over medium-high heat. Coat pan with olive oil. Saute spinach until wilted and deep green. Pour eggs into pan, scrambling slowly. When eggs are still moist, sprinkle in crumbled feta. Scramble slowly, until cheese is slightly melted. Stir in Sweet Grapes. 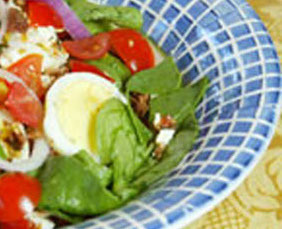 A sweet take on a classic salad! Perfect for a Sunday morning burnch! Your comments, questions and suggestions are important to us. or send you unsolicited emails.